In 2009, Milwaukee's business leaders, educators and politicians created The Water Council, an organization unique to the United States and geared toward making Milwaukee the World Water Hub for research, education and economic development. Five years later, the Wisconsin Historical Society and The Water Council formed an innovative partnership to document the ongoing water initiative that the Council believes will shape the economic future of the state. Read the press release announcing the partnership here. Through the partnership, the Society established a field office at the Council's Global Water Center, the first time in the Society's then-168-year history that a staffperson was based in the state's most populous city. The partnership brings together the Council and the staff and resources of the Society to train Council staff in records management and archival documentation and enable Wisconsinites present and future to better understand the state's role as a leader in water research, education and technology. Read a Milwaukee Journal Sentinel article on the partnership here. The Water Council, the only organization of its kind in the United States, was established in 2009 by Milwaukee-area businesses, education and government leaders. With more than 150 water technology companies in the Milwaukee area, the region's water industry is a $10.5 billion dollar market and accounts for four percent of the world's total water business. The nonprofit organization, consisting of more than 160 members, is linking together global water technology companies, innovative water entrepreneurs, acclaimed academic research programs and, most importantly, some of the nation's brightest and most energetic water professionals. The Water Council is capturing the attention of the world and transforming the Milwaukee region into a World Water Hub for freshwater research, economic development and education. For more information, visit The Water Council website. Publications, newsletters and exclusive invitations and offers from the Society. To see a full list of available benefits, visit The Water Council's website here. 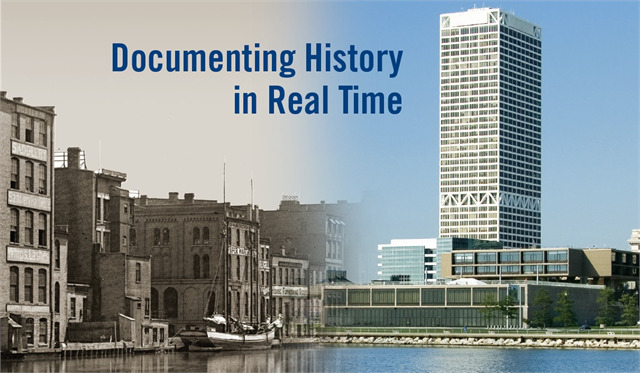 Contact Kristen Leffelman, Wisconsin Historical Society Field Services Representative at The Water Council, at kristen.leffelman@wisconsinhistory.org or 414-988-8655 or Isaiah Perez, Water Council Membership Manager, at iperez@thewatercouncil.com or 414-988-8761 for more information or to opt in to benefits.